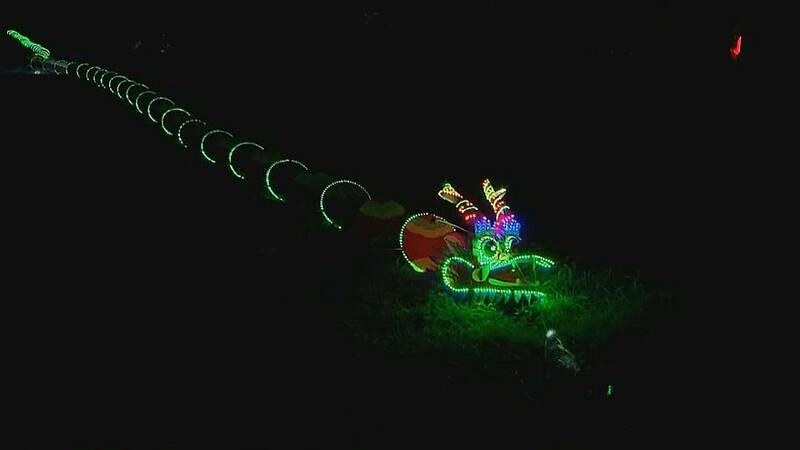 A large dragon kite with 1,088 LED bulbs caught the eyes of many visitors at the 2017 New Taipei City North Coast International Kite Festival in China’s Taiwan. Flashing an array of different colors, the 88-meter long kite can spout smoke during the day and sparklers at night. Other kites showcased at the festival are a cute tadpole kite and a stunt kite that can quickly change its formation. Creative kites featuring cartoon characters have also been put on display. Entering its 18th year, the festival has brought together more than 20 teams and 100 domestic and foreign kite-flying experts from some 10 countries and regions to show off their skills.